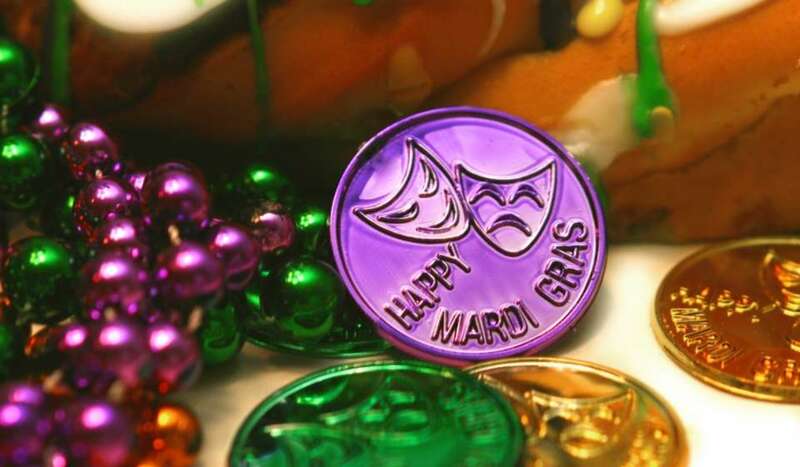 For more than 130 years, Mardi Gras “throws” have been part of the fun of Carnival. Most Mardi Gras krewes have their own signature throws, and some spend all year decorating their coveted items. Bring a backpack or a pillowcase for your loot and, remember, no one goes away empty handed. 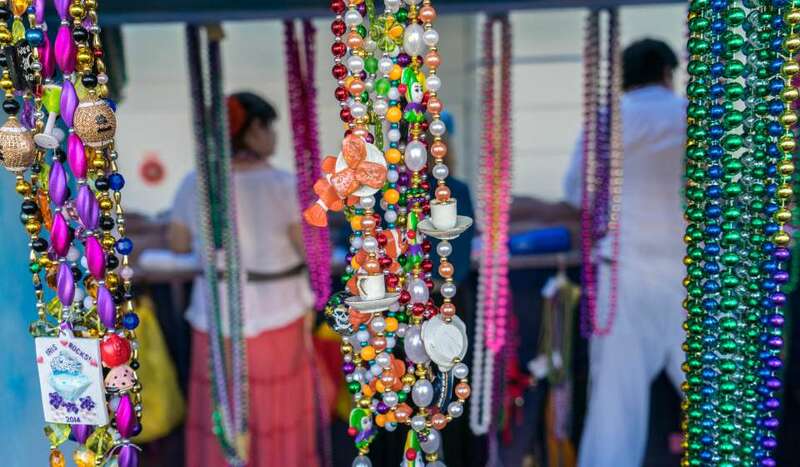 Long beads, short beads, sparkly beads, beads with medallions, beads that light up, old-fashioned glass beads ... see who in your gang can collect the most and the coolest. Doubloons made their Mardi Gras debut in the Rex parade in 1960 and remain one of Mardi Gras most treasured throws. Watch your fingers when you pick them off the ground though or ouch! Someone may try to beat you to it with their foot. Every kitchen in New Orleans has a cupboard with a collection of plastic cups caught at Mardi Gras parades. Featuring the unique insignias of each krewe, they’re used year round at crawfish boils, birthday parties and all casual gatherings. Decorated Zulu coconuts are perhaps the most highly sought after throw of Mardi Gras. Only the luckiest and most determined will walk away with them. For safety reasons, coconuts are passed down from the floats rather than thrown. The women of Muses spend months decorating coveted high heels to throw out to the crowd. Some of them are gorgeous works of art to be displayed on bookshelves for years to come. 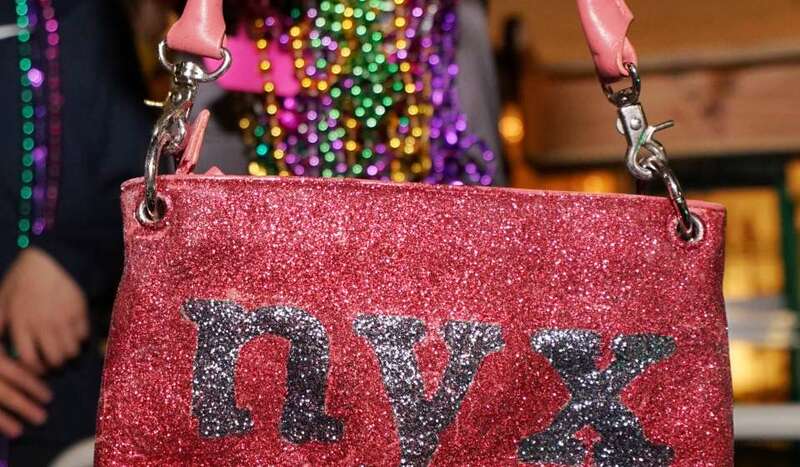 Look for dazzling purses from the women of Nyx, the largest all-female Mardi Gras krewe in New Orleans. Like Muses shoes, these handbags are considered a real prize. They often have contact information from the creator tucked inside so the lucky recipients can show off their catches and tag the generous rider on social media. Members of the Krewe of Carrollton throw decorated shrimp boots – a classic symbol of Louisiana coastal culture. 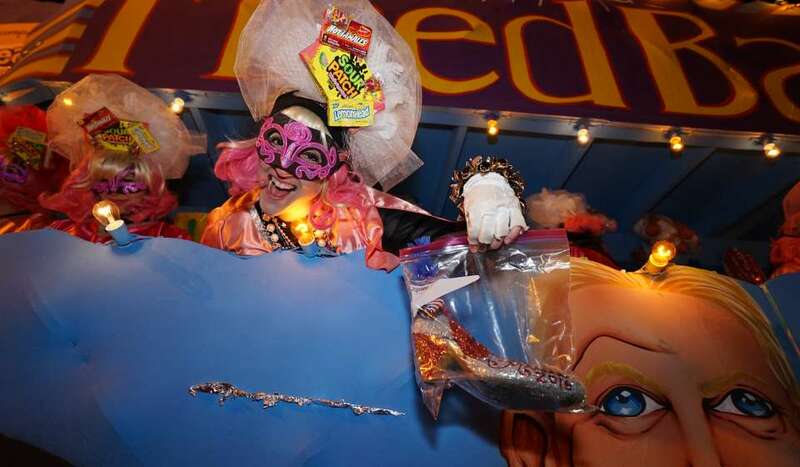 Iris, the oldest female krewe, parades every year the Saturday before Fat Tuesday –rain or shine. Their famous decorated sunglasses are a real catch. Tucks throws toiletry-themed throws (you might call it “Potty Gras”) including decoated brushes. 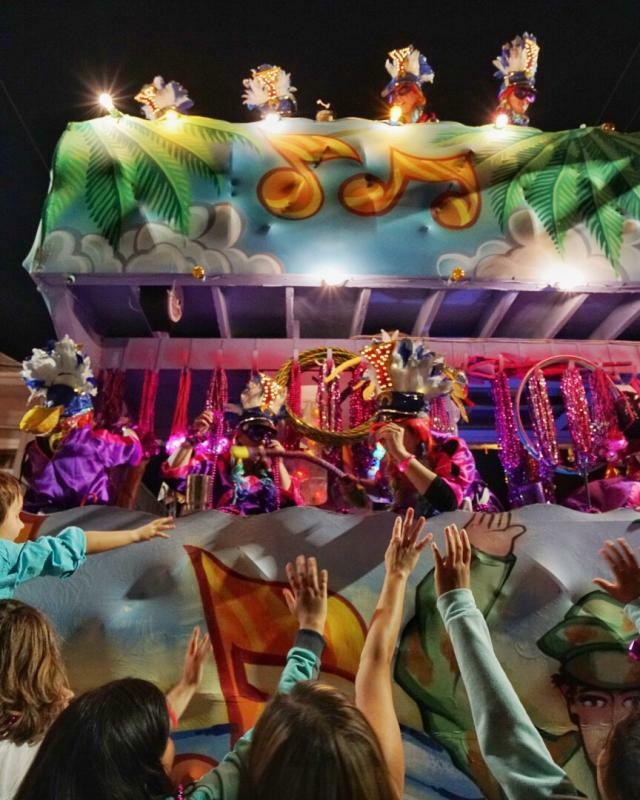 With their flashing skeleton bead, Krewe d’Etat started the trend of high-tech Mardi Gras throws. Catching one will make your night. This new krewe – founded in 2013 – started right off by throwing lovely decorated compact mirrors into lucky hands.